From the diary of a fashion designer : Palazzo Pants ! Palazzo Pants , have been a rage since quite sometime ! 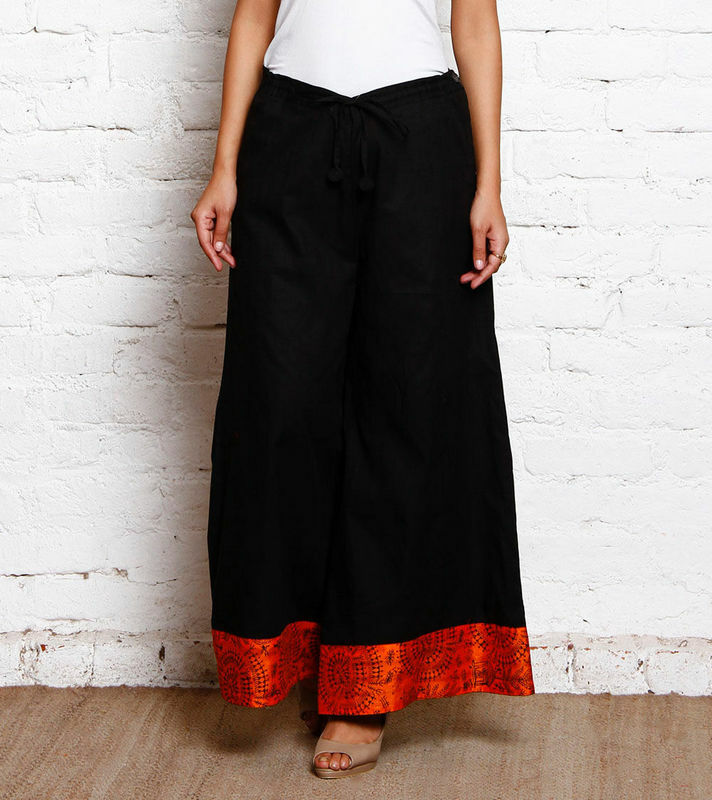 They flare out evenly from the waist till the ankle and and ideal for the Indian weather. They are loose yet flattering to the female body. No wonder they have replaced the salwars and the churidaars and look trendy as well! After the world war 1 , in the roarings 20's as they were called a wave of prosperity and optimism spread in the US when women also starting entering the work force. The concept of 'Power Dressing' found it's way as women wanted to be taken seriously at work and dressing up manly in trousers conveyed just that ! It was around this time that Coco Chanel , the fashion icon , went to Venice and discovered the wide legged pants which gave the ease of alighting the Gondolas ! Indeed , need is the mother of invention :) Thus Palazzos were born ! Coco made the palazzos rise , to drop down the tight fitting Corsets literally and figuratively, liberating the woman ! These became the new Style Statement with the Hollywood stars donning them in between the shots. 2015 is the year of Change and Diverse Cultures ! With the ease of communication and travel , Fashion has it's influence from all over , it's a concoction of various cultures . It is what you create out of your influences , comfort and individuality. That's YOUR STYLE STATEMENT ! !